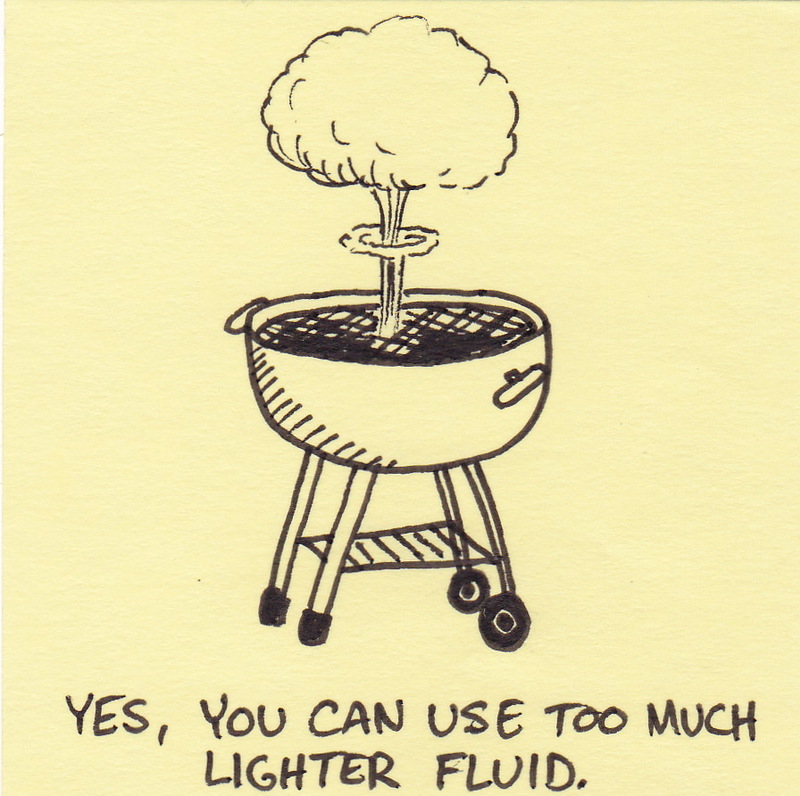 Yes, you can use too much lighter fluid. Simmer until thick (but still thinner than store brand) while stirring constantly. Brush sauce directly onto the meat as it grills. After sauce has thickened from heat of the grill, add a mixture of brown sugar and vinegar to the meat. We have never measured the amounts of brown sugar or vinegar – just make sure it is thick. You can also just do the sauce alone, but it is quite a bit spicier without the brown sugar and vinegar paste. 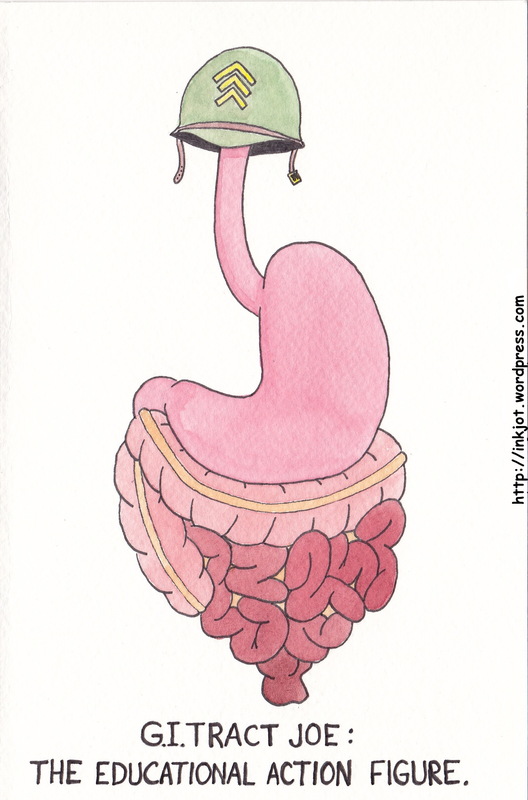 GI Tract Joe: the educational action figure. Kids love fun so they demand nifty toys. Moms like learning so they demand educational products. Companies want to make money so they listen to these demands and create “educational” toys and games. Moms of the world, we love you – but that doesn’t mean we love toys that make us work to play. Now you know and knowing is half the battle. 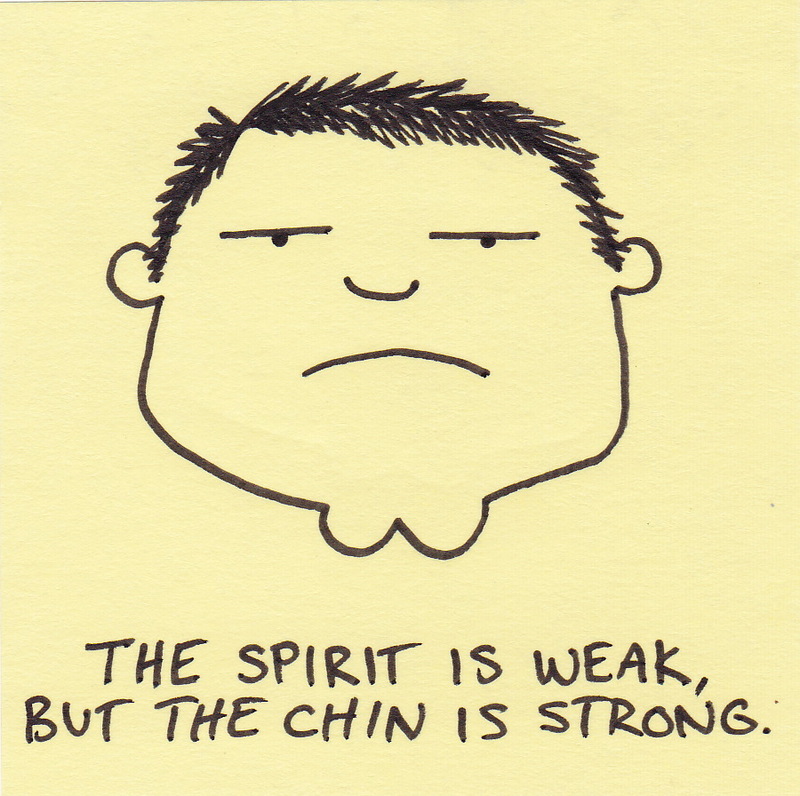 The spirit is weak, but the chin is strong. In comic books the guys with big chins are superheros (think Superman and Batman). In real life we get Quentin Tarantino. And let’s be honest, he’s no Superman. 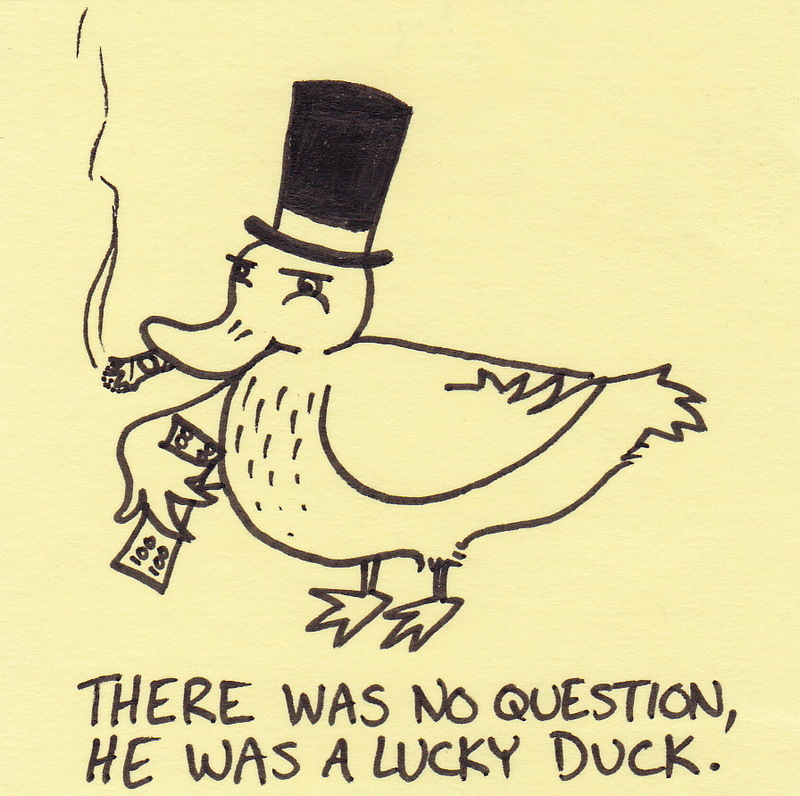 There was no question, he was a lucky duck. Just in case you can’t tell, that is a 100 dollar bill he is holding. I know a hundred bucks isn’t worth what it once was, but he would still be the richest duck I’ve ever seen. The steroids were having some unexpected side effects. When I was younger, I spent time at a local gym called Family, Fitness, and Fun. There was one man who worked out at the same that was most definitely a steroid user. 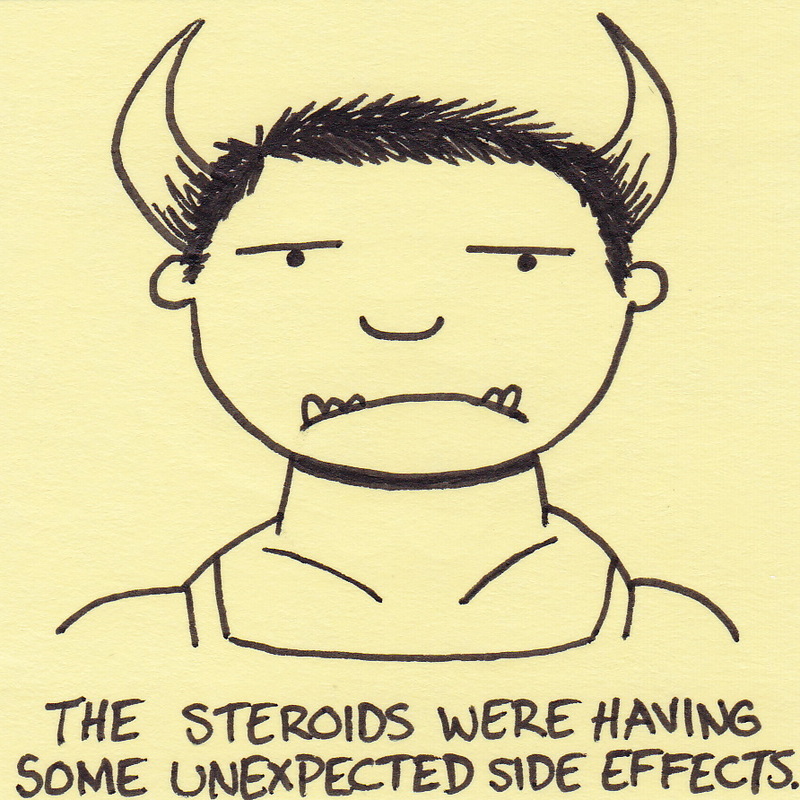 Although he didn’t have horns or fangs, he suffered from regular bouts of “roid rage.” One day he failed an attempted lift and started spewing every foul word imaginable. It was so loud and so profane that everyone in the gym froze. When he had finally finished, my friend loudly said, “FAMILY, fitness, and fun,” emphasizing the word family. There were some laughs. And even a few claps. Obviously, everyone agreed the guy was out of line. Personally, I was more concerned about making fun of the largest, angriest person in the room.